St. Andrew's Golf Club was the venue for Club changeover last evening. 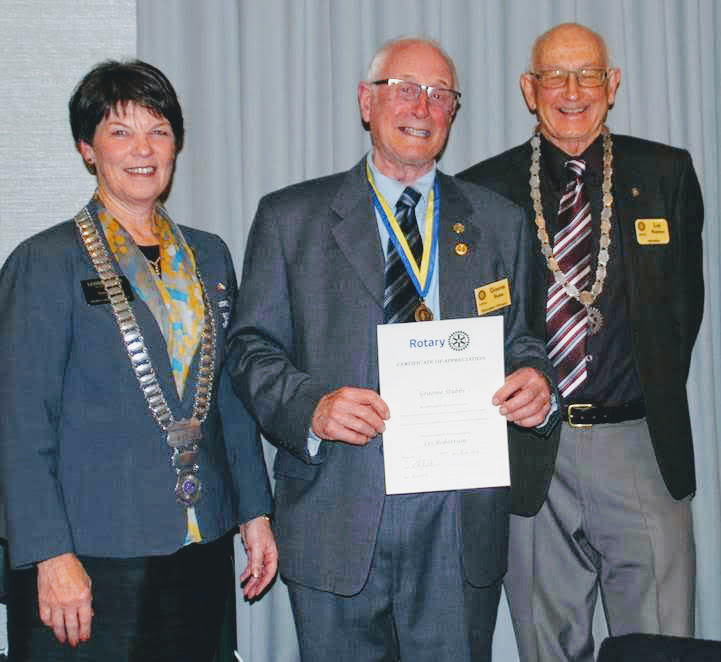 At this well attended event, we welcomed the District Governor, Leonie Tisch and her husband Lyndsay. During the evening two Paul Harris Fellow Awards were presented, the first by club president Les Robertson, was a sapphire pin to Graeme Stubbs (left photo) for his long and dedicated service to the Club Book Fair. Graeme has been a leading light on the Book Fair committee since it's inception in 2004. 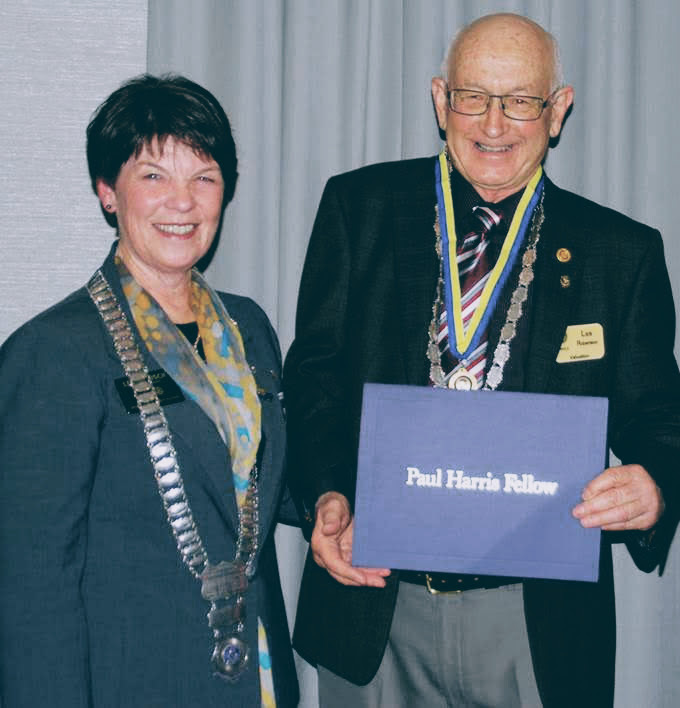 The second Paul Harris Fellow Award was presented by District Governor Leonie Tisch, on behalf of District 9930, to President Les Robertson, (right photo) for his initiative and drive in establishing a new Rotary Club in the Rototuna area of Hamilton.